Let’s look at the seven basic steps for setting up your blog’s email sign up form, and then I’ll break them down further for faster implementation. What you’re after is a way to capture emails of people who visit your blog, so you can connect with them via email. Step 1. Decide on a “Lead Magnet” or Free Gift you’ll give folks who sign up to your list and upload it to your blog. Step 2. Create a Page on Your Blog to Serve as Both a “Thank You for Signing Up” and “Download Your Free Gift” Page. (Not a Post, a Page that You’ll Not Include on Your Main Menu) Include the Access Link for the Free Gift. Step 3. Decide Which Autoresponder Service You’ll Use and Create an Account. in a Side Widget of Your Blog. Step 5. 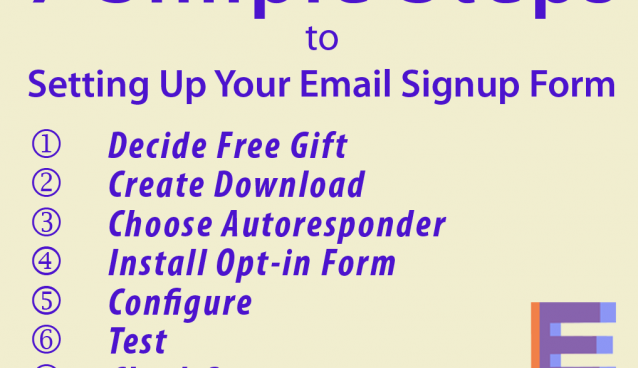 Configure Your Autoresponder (AR) with a New List for “Signups from Blog,” or Similar and Create a Welcome Message for New Signups that Includes the Download Link to the Free Gift. Step 6. Return to Your WordPress Plug-in to Ensure it Delivers Visitors to the Page you Set up in Step 2. Step 7. Make Sure You Have Blog Stats in Place so You Can Track Number of Visitors Compared to Number of Sign-ups. 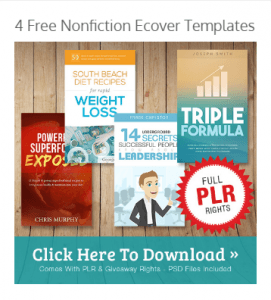 Your free gift to entice blog visitors to sign up should be something they really can’t do without. You may have to test several items to find what yields best results. Typically, your gift shouldn’t be something longer than a 12-15 page report, something that can be easily consumed. Make sure you identify or “brand” your free gift with your blog address or other address specific to your business. You may get visitors there too! The fastest way to make this free gift available is to upload it to your blog’s media files. But this makes the file completely searchable online and subject to online pirates. As an alternative, you may want to use a Dropbox or Amazon S3 account. Uploaded files aren’t found easily on those platforms. This is the page you’ll set up to send your sign-ups to so they can download your free gift. This page is also an opportunity to thank your new fans, tell them more about yourself, or send them to a related Facebook page or other social media property you want to share. AWeber is one of the oldest autoresponder (AR) services. That counts for a lot as you’ll find they integrate seamlessly with a lot of products and services you’ll encounter in online marketing. AWeber recently became integrated with JVZoo, a popular affiliate marketing platform, specializing in info product launches. GetResponse also integrates with JVZoo, If this appeals, get your JVZoo free account first, then set up GetResponse through the JVZoo affiliate dashboard. I understand there are less problems that way. MailChimp is not known as friendly to affiliate marketers but they do have a free account to start out, up to 1500 sign-ups. And as all your e-mailings will be directly to sign-ups, they’ll be fine as a start. Another good thing about MailChimp is they have been prolific with their plug-ins and inetgrations with other programs. Each of the Auto Responder (AR) programs listed above have WordPress plug-ins available to make it easy to get your sign-up form installed. Not all make it easy to include a thumbnail image of your free gift. You’ll have to test to see what works with your blog theme and plug-in. It may work best for you to NOT use a plug-in at all. Look for the snippet of code your AR provides for your sign-up form. Copy and paste that into the standard “text” style widget. Then upload the thumbnail image in your media files and insert the image into your “thank you/download” page. Now, select the full code for that image insert. It’ll begin with img src=http://…” Be sure to keep the beginning “<” and ending “>” tags. Copy and paste that image insert code into the text widget, just above your sign up form code. That should cause the image of your free gift cover to appear above your sign-up form. 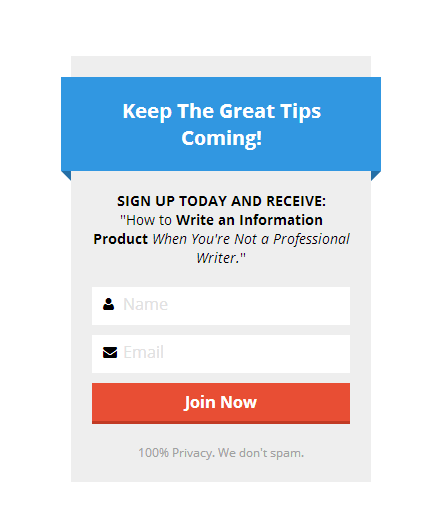 Have the image displaying and it should increase your sign-ups. This one is a difficult step to explain as every company has a slightly different way of setting up. Aweber has what they call a “Success” page where you list the link address for your “Thank You – Download” page. Now that your list or group is set up in your AR, go back and revisit the plug-in to make sure all the settings are what you expect. Test it with a personal email address you have. If you’re not using a plug-in, go ahead and test to make sure your email is added to the appropriate group and that you are delivered to the correct page for downloading the free gift. Many AR services have built-in stats that help compare how many visitors sign up and how many don’t. Don’t miss this opportunity to find out how desirable your free offering is! Congratulations on successfully setting up your gateway to beginner blog traffic! Wow! You have great content on your site. Thanks for the amazing value you are providing here. I will visit here often. Right now, I’m playing catch-up with the QSC Week 3 tasks. Again, thanks for giving your time to help us out! Fantastic post! You have so much detail and explanation…wish I had read your blog before I did my opt in form! I did not use the plug in or opt in form in wordpress but did everything through Aweber. I had a hard time with where to put my free report and finally figured out the media file, purely by accident! Finally, thanks for mentioning my blog post! I will revise mine to do the same…because you fill in a lot of the blanks where I had problems! Keep up the great work and I look forward to seeing more of your posts! I’m Helen from QSC 3.0. 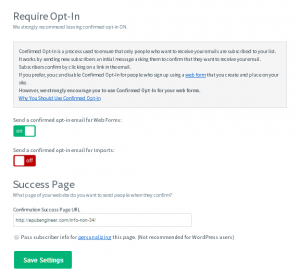 This is a very helpful article on how to set up the optin form. I like the way you structure it so that people can follow you step by step. I’ll be visiting often! Thank you, Helen! I’m a former tech writer and although it was a job that I was very dis-engaged from, it sure was good training on how to write how-to’s! Hi Barbara, very nice content here. I like how you’ve laid out your resources, and the steps to completing certain tasks. Very helpful information! Great tips Barbara! 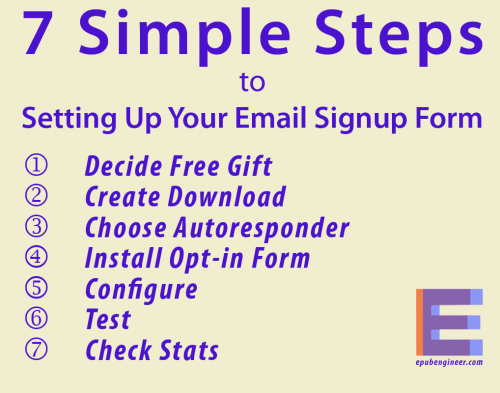 Your step by step instructions takes the guesswork out of setting up a web form. Thanks for the great post and keep’em coming. Thanx Barbara for the great tips… they came at the perfect time for setting up my opt-in form. Finally i finished it. A very nice ‘how I did it’ tutorial and put over so well that everyone can get an understanding of your how and why. YOu have a gift there for converting the technical to the simpler (but no more simple than necessary). What will week 4 bring us? We don’t know, but we’re all ready to face it together. With mutual support like we have within the group, how can we fail! (By not taking action, of course -But everyone will, because we have the encouragement of the others). Hey, Steven, thank you for the compliment! When I was Operations Manager for a direct marketing firm, I’d consult with the independent programmer and then go show my staff how to implement his new programs. He paid me the same compliment. He said I had a knack for breaking down complex systems into simple steps. I know it’s always important for me to have the “why” so I like to include it whenever possible. I look forward to tomorrow….! Thank you…That’s what I did without realizing it…LOL….I love the post, you put it in simple terms and that’s refreshing…I’m going to book mark this page for future reference, that’s how good I think it is…Thanks again!!! Derrick, that’s great to hear! Feel free to comment when you come back. This is set up so after your comments are approved initially, they remain on auto-approve! Hi Barbara, Great content here, and I am sure there are lots of people from the Quick Start Challenge and elsewhere who will find this information useful. This is some of the stuff that perhaps is missing from that training course, but I guess they can’t cover all of it! I am OK with the technicals on my site, but somewhat lacking in creativity to put it into practice! Hey, Duane, I really appreciate your comment! Someone else made the same observation (I think Steven Lucas). Yeah, I think product creation is definitely a good direction for me.